RACHELLE: Can you tell me about the work you do teaching grandmothers in your community? DANIELLA: When I came back from Bais Chana 10 years ago, I started studying and listening to many classes online. 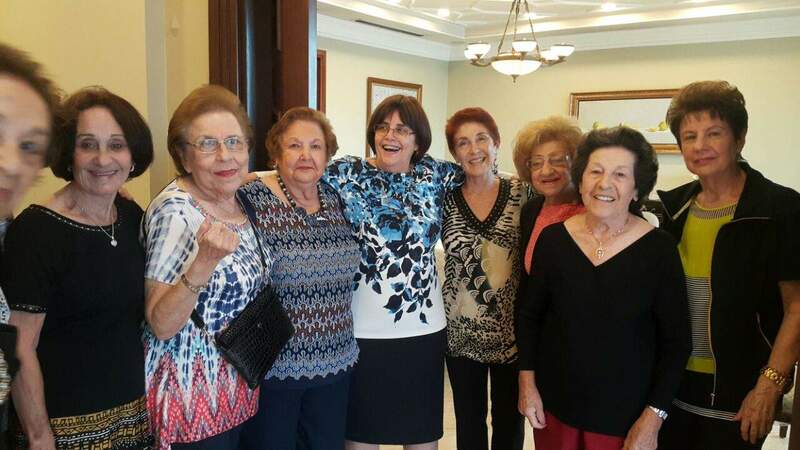 There is a program in Panama for people of all ages – including the older generation, but I decided that I wanted to teach the older women, the grandmothers, in the community. I teach a Torah class once a week. RACHELLE: What do you feel the women need most? What are they really looking for when they come to learn with you? DANIELLA: The older we get, the more we search for the meaning of life. And if we do not have a spiritual connection, it’s tough. Because when we are young, we are busy with material life and our kids. But once the kids grow up and the business doesn’t need us anymore, we are done with all those things that kept us busy for years. There comes a time when we begin asking questions about the meaning of life. And we can find that meaning in the Torah. RACHELLE: Is there anything you do outside of the classes to keep the women feeling connected? DANIELLA: In order to keep the group connected, I send an inspirational message every morning, with a few personal words. RACHELLE: How do you prepare for your weekly classes? DANIELLA: I try to teach something on the parshah (the weekly Torah portion) of the week. There is a rabbi who I like, who teaches in french every week. I translate his classes (from French to Spanish) when I learn it and then transmit it to my Grandmothers. The way I transmit it is through examples. Examples of life. Things people live day by day… until people are able to understand something that is elevated or abstract. One of the things I try to transmit in each of my classes is that the parshah has lessons that are eternal. 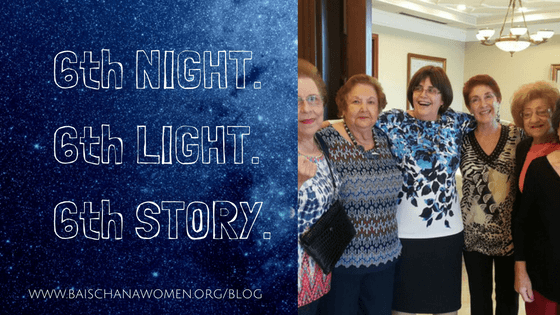 From the stories and even the details in the Torah, we can better understand our own lives. This is something that is especially true for Grandmothers, because they have many life experiences behind them. RACHELLE: How did you recognize this lack in the community? DANIELLA: In a sense, grandmothers are often overlooked. Nobody thinks that people this age have a need, and it’s very common in every community. In every community there are so many programs for children. And yes, children are the future, but what about the past? What about those who allowed the future to come to be? I defend my generation. And if I have that sense, and I saw that people do not take care of the older generation, then I realized I have to do something. Nobody pays attention to the spiritual needs of older ladies – and also the friendship needs. Older ladies who have no children at home, and sometimes no husbands at home, they too have to be woken up to things that are going on in the world. RACHELLE: Tell me a little bit about how you do things in your house. DANIELLA: When each lady comes and I open the door, I give each lady a strong hug. I don’t bake for my family, but every week for my Grandmothers, I bake a cake. And I make a big pot of coffee and they sit down and I come and ask them if they want coffee – and then I bring it to them. I serve it to them. And when they ask questions, I listen to every question, even if it is the strangest question that could be. And what is the reason that I do things like this? I want them to feel that they matter. Because Grandmothers often feel as if they don’t matter. Their children are busy taking care of their own children. And as Grandmothers, we are always serving others. But who serves you? But what about you? Who takes care of you? RACHELLE: Is there anything unexpected or surprising that came from your classes? DANIELLA: I did many programs in panama over the years. I brought Rabbi Friedman and Hinda Leah and made a Bais Chana in Panama. But there is one program I never ask anything back from, and that is the Grandmothers. This year, I had a big surprise. 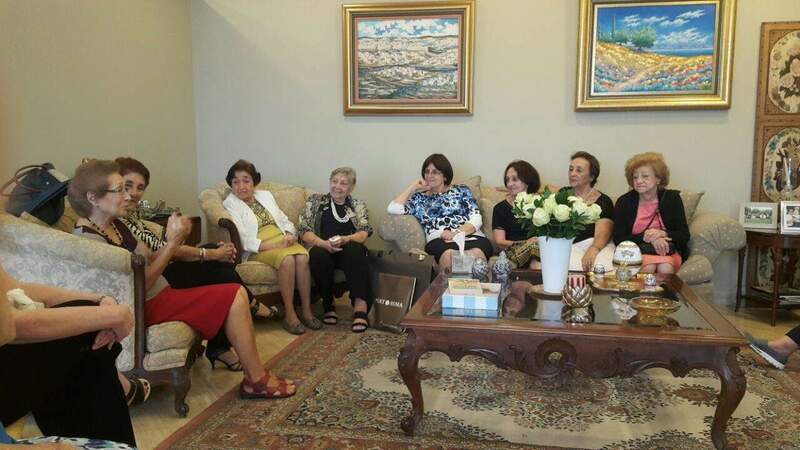 There is one lady – she is about 70 years old – and every shabbat afternoon she comes to my house and we learn together. She is a very successful lady and she still works. We study together every week, separate from the group. One day she said to me, “Daniella your birthday is coming up. I want to invite you out to lunch, and after, I would like to learn with you.” So I said ok. It was a Thursday… we went out to a restaurant, she gave me a present… and when we came back, I saw all my Grandmothers waiting in the lobby of my building! I said, “Could it be they thought today was the class?” And then I realized that they had all gotten together to make a surprise for me. And that was the most emotional thing that happened to me in the last 10 years. Later, I realized they were so worried that it should be a surprise for me, they kept calling each other and saying, “Do you think she knows?” And they were so worried about which present to get me, two of them went to the mall together to pick something out. And that week, for the surprise, everyone was there. Not everyone comes every week. Sometimes they have appointments and sometimes some of them can’t make it. But that week everyone was there. And it was such a perfect, such a beautiful way of showing their appreciation. Even though I never expected anything from them! It is the program that I never ask for anything back. Of all the programs I have done in the community, this is what was the most emotional moment. RACHELLE: If I wanted to start something in my community similar to what you do, what’s some advice you can give me? DANIELLA: Show them they are important; make them feel that they matter. RACHELLE: Tell me a little about your experiences at Bais Chana. DANIELLA: 10 years ago, I did teshuvah and became Torah observant. And I have to tell you that never in my life did I think that I would. When we first arrived, we met Hinda Leah and Sarah Leah. Among other things, they handed us each a negel vasser (a cup and bowl for ritual handwashing). We had no idea what it was! We walked away wondering if we were meant to use it to catch the rain or something. The first class I attended was about Kashrut. After an hour, there was a choice to continue in that class or to go to a different class about intimacy. When the time came to switch classes, I didn’t want to leave. I stayed. A few days later, after classes, I went for a walk around the lake. I walked and walked for hours. I knew then that I wasn’t going back to Panama as the same person. And I was afraid. 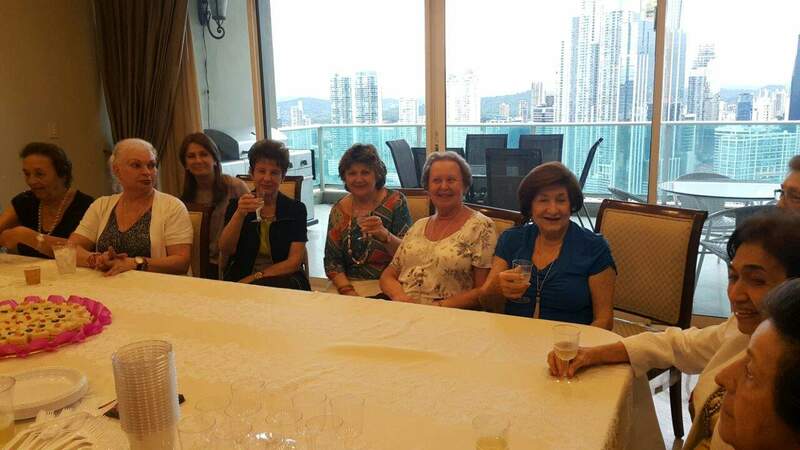 When I got back to Panama, I decided that I would no longer work on shabbat. I started keeping Kosher. And I began to pray. And I also began to learn. I went to Bais Chana many times. That first trip was in May 2006. The next time, in 2007, I went to a Bais Chana Couples Retreat in Key Largo with my husband. 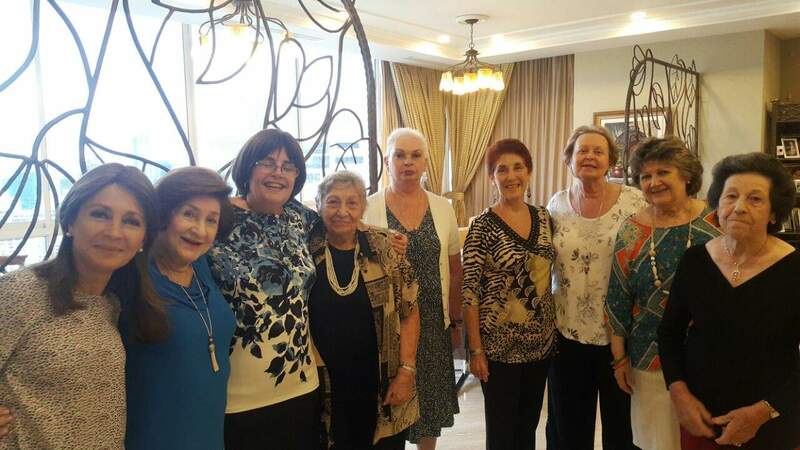 Then I joined Bais Chana’s first trip to Israel. And a year later I went to another Bais Chana program. Each time I went to Bais Chana, I would start keeping another mitzvah. After my second time, I stopped wearing pants. I threw out 60 pairs of pants! My mother was sure something was wrong with me. She had never seen me wear a skirt before. At the last program I went to, I was sitting in a class by Rabbi Friedman. A woman in the class asked him how we could believe the Torah’s perspective on how old the world is when there are dinosaur skeletons. So Rabbi Friedman started speaking about creation and about dinosaurs. And something in that class really struck me. A few days later, after the program, I was in Miami. I said to a friend, “I need to go buy a sheitel (wig).” To this day, if you ask me what that class was about, I will still say it was about dinosaurs. But sometimes, it is our soul that hears, not our ears. And I heard dinosaurs. But I had to go buy a sheitel. Q: How did your husband respond to all of these changes? DANIELLA: When I came back from my first Bais Chana program, I started davening (praying). I would wake up very early, around 5 or 6 in the morning, and I would leave my bedroom to go daven. I would come back about an hour or so later. At the time, all my davening was very emotional. My husband never asked me why I woke up so early, but I could tell that as the days passed, he was getting upset with me. One day someone told me that when one davens, it is a good time to ask Hashem (G-d) for things they need. I thought, “How can I ask for things when I have everything I need?” That’s like saying to G-d, thank you for everything I have, but here are the things I lack. When I went back to my bedroom, I couldn’t believe what I saw. My husband was wearing his tefillin, and he was praying. He never wore his tefillin at home. I only saw him wear them during the chagim (Jewish holidays). With all the changes that I was making, he usually didn’t ask me about it and it didn’t bother him. The only difference was when I bought a sheitel. We were in Miami together when I went to go buy a sheitel. I didn’t tell him that I was going to buy one before I did. People used to joke and say to him, “One day your wife will wear a sheitel!” And I knew he didn’t want it. I said, “Uh huh”. I was hoping maybe he wouldn’t see the difference. I think he realized and understood that this was something i needed – something that was part of my life. RACHELLE: Are there any other Bais Chana experiences that stand out in your mind? DANIELLA: During the Bais Chana Israel trip, we visited Amuka – a gravesite of a tzaddik buried in the hills near Tzfat. People go to him to daven for a shidduch, for children, and other things. We went there with our whole group, and each of us was walking around the grave (as is customary) asking for different things. One woman, Sarita, was praying and praying for a shidduch (a husband) for her daughter. I was by her son’s bris in Miami, and that was when I bought my sheitel.